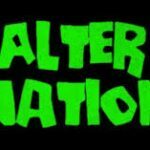 Alter Nation live broadcasting from Poland. It is one of the most famous online radio station on Poland. The Alternation portal officially came into being as a part of the Internet on the 5th of March 2005, after several months of careful preparations. Alter Nation is main goal was to create the biggest portal that would reliably present its users with the latest and most interesting news from the .alt music world, otherwise little known among small groups of fans – synthpop, futurepop, electro, powernoise, industrial, gothic, ambient and some experimental genres among others, together with a little mix of more commercially popular music like rock, metal, etc. Initially, our site was created by four people who were bound together by the idea of promoting unpopular, but interesting music. Later, they were joined by others, and they merged into a strong, hard-working team of editors, giving their best to make the place attractive to all kinds of visitors. We have contacted many bands that we now promote, and also several labels in Poland and abroad. Furthermore, from the beginning we aimed at the improvement of the portal, gradually adding new content to the existing site. The first major breakthrough came in the spring of 2005, when, thanks to two new members, Alternation turned into a bilingual portal – and stayed so until this day. Since then, the enlarged team has looked for new solutions that would make the site even better, what brings us to the greatest (so far) moment in Alternation’s history. Starting from the 29th of October, 2005, thanks to several months of hard work carried on by the people dedicating their work to the portal, Alternation has completely altered its visuals, becoming a more user-friendly e-zine, focused on your needs. We have created a site with easy navigation, better graphics, a clearer layout and, what’s most important – it’s so easy a child could use it. Now, everyone can easily locate relevant information without having to dig through heaps of infojunk.